Gail Mazur has been honored as a Distinguished Artist through the St. Botolph Club Foundation and been noted for excellence through the National Endowment for Arts. CAMBRIDGE, MA, January 18, 2019 — Marquis Who's Who, the world's premier publisher of biographical profiles, is proud to present Gail Mazur with the Albert Nelson Marquis Lifetime Achievement Award. An accomplished listee, Ms. Mazur celebrates many years' experience in her professional network, and has been noted for achievements, leadership qualities, and the credentials and successes she has accrued in her field. As in all Marquis Who's Who biographical volumes, individuals profiled are selected on the basis of current reference value. Factors such as position, noteworthy accomplishments, visibility, and prominence in a field are all taken into account during the selection process. For nearly four decades, Ms. Mazur has been dedicated to making art and writing poetry. She is a faculty member of the Fine Arts Work Center Summer Program, a position she has held since 1995. An established writer, she accepted a role teaching as a poet-in-residence for Emerson College, where she later became a Distinguished Writer-In-Residence. In 1973, she founded a weekly poetry reading series at the Blacksmith House in Cambridge, MA, which became nationally known. Notably, it is now in its 46th year of presenting established and beginning poets from all over the United States and from many other countries. She has been a Visiting Professor in the graduate writing programs at Boston University, the University of Houston, the University of California at Irvine, as well as in the Low Residence MFA Program at Vermont College. Ms. Mazur has published poetry, criticism, personal essays, and reviews. She has also authored eight books of poems over the years, including 2020's Land's End: New and Selected Poems, “Figures in a Landscape,” “Forbidden City,” “The Pose of Happiness,” “They Can't Take That Away from Me” and “Zeppo's First Wife: New and Selected Poems,” which was a finalist for the National Book Award, the L.A. Times Book Prize, and the Paterson Poetry Prize and the recipient of the Massachusetts Book Award. Her poetry has been included in many periodicals and anthologies, including several Best American Poetry and Pushcart Prize anthologies. Ms. Mazur holds a Bachelor of Arts in English from Smith College and a Master of Arts in creative writing from Lesley College. 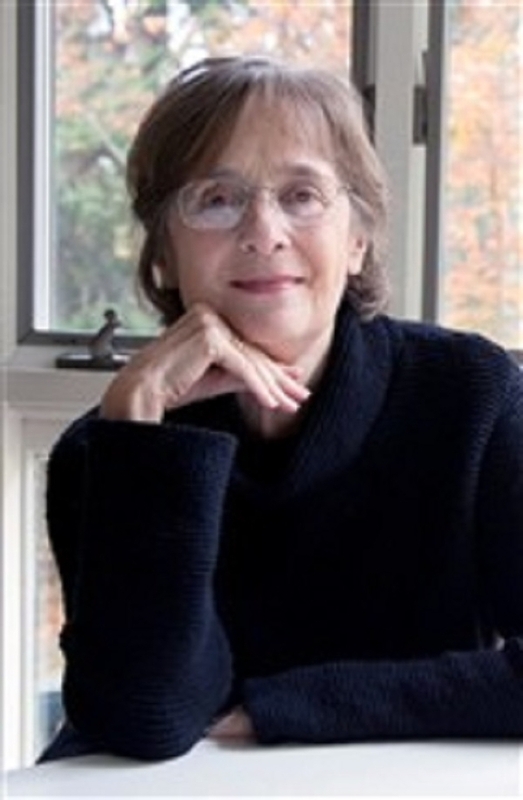 She has held memberships with a number of organizations, such as New England Writers for Survival, PEN New England, and the Poetry Society of America. Ms. Mazur has served on the Board of Directors, the Advisory Board, and the Writing Committee of the Fine Arts Work Center in Provincetown, Massachusetts. A unique 7-month residency program, supporting young artists and writers at the very beginning of their careers. In light of her professional accomplishments, Ms. Mazur has been honored as a Distinguished Artist through the St. Botolph Club Foundation and been noted for excellence through the National Endowment for Arts. In 1981, the Poetry Society of America honored her with the Celia Wagner Prize, and she received an honorary degree from Salem State University in 2017. Additionally, she has been featured in such professional publications as Who's Who in American Education, Who's Who in Entertainment and Who's Who of American Women. Looking forward, Ms. Mazur intends to continue reading, writing, teaching, working to support other poets, and keeping poetry before a reading public. In recognition of outstanding contributions to her profession and the Marquis Who's Who community, Gail Mazur has been featured on the Albert Nelson Marquis Lifetime Achievement website. Please visit www.ltachievers.com for more information about this honor.